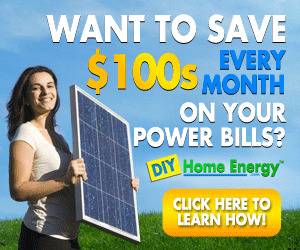 Renewable energy sources produced by direct solar capture (photovoltaics), wind, hydro, and biomass are all forms of solar energy. Hence, all sources face a finite upper limit of available energy (Metz et al. 2001; Lightfoot and Green 2002), based on net flux density (e.g., average radiation at the ground of ~200 watts per square meter [W m-2]). Biomass production is limited by the photosynthetic efficiency of conversion of solar energy, which on a canopy scale is capped at about 2-3 percent during the growing season. One must consider the phenology of the plant system, which may leave the landscape bare or sparse a considerable portion of the year, reducing annual mean photo-synthetic conversion efficiency (Baldocchi and Valentini, Chapter 15, this volume). Additional energy inputs may be required for cultivation and for fertilizers in order to prevent soil degradation. Land availability is limited by competition with other needs. Furthermore, a significant portion of the terrestrial biosphere is nonarable, where scarce imported water would be needed to produce biomass. Hydropower produces CO2-free energy, but this option is suitable only in selected watersheds. There are environmental costs associated with the disruption of ecosystems, fisheries, and landscapes, and silting leads to a finite reservoir life (e.g., Aswan Dam in Egypt). Moreover, when dams are situated in remote locations, there are energy trans mission losses. In many industrialized countries, potential hydropower resources are already largely exploited. All locations are not suitable for producing wind power. 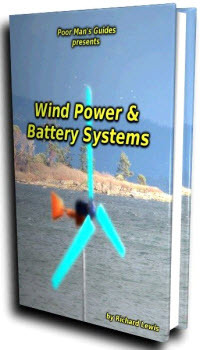 Wind power is a function of wind speed cubed (kinetic energy increases with wind speed squared and that energy is transported to the wind turbine at the wind speed). Best sites are near seashores (e.g., Denmark), high-wind areas in continental interiors (e.g., North Dakota), or hilltops (e.g., Altamont Pass, California). The jet stream, with energy fluxes of >10 kilowatts (kW) m-2, represents a high-density resource, but one that is difficult to harvest. In isolated regions transmission losses reduce efficiencies. For many sites public acceptance is an important barrier (e.g., offshore in Cape Cod and the North Sea). Intermittency limits wind power, in the absence of energy storage and long-distance transmission technologies, to ~10 percent of base load power. Wind power can potentially provide a greater fraction of total power if coupled with improved energy storage and transmission systems (e.g., hydrogen, superconducting long-distance electricity transmission). At very large scale, wind energy could begin to extract a significant portion of kinetic energy from the boundary layer and thus potentially have adverse environmental consequences. Photovoltaics are increasing in efficiency, but to contribute significantly to climate stabilization, this technology must be implemented cost-effectively on a large scale. The most efficient photovoltaics from a physics perspective may not be the most efficient economically, as high-efficiency photovoltaics are expensive (Hoffert et al. 2002). Moreover, not all regions are sunny. 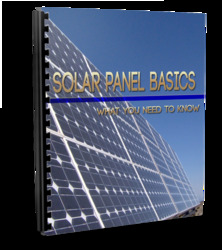 The use of exotic materials may also be an eventual barrier to large-scale solar voltaic implementation. Because of the intermittency of solar power (and the day-night cycle), solar can only supply a major fraction of base load power if it is combined with a means of energy storage and effective transmission.